About 400 million years ago, fish left the water and began to evolve into land-living creatures. But how did this transition happen? In a new and unusual study, researchers from the McGill University took a fish species known to be able to occasionally walk using its fins and raised it on land. The scientists found that when raised on land, this primitive strange fish with lungs, walks much better than its water-raised friends. The experiment could shed some light on the kinds of changes that enabled fins to become limbs. 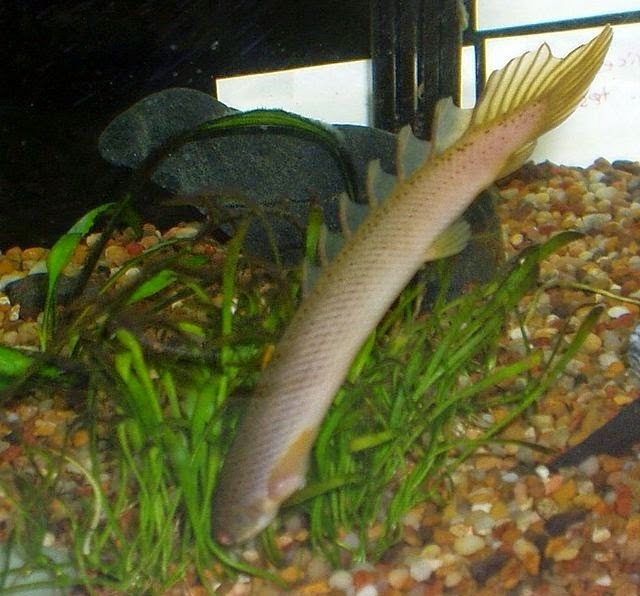 The research team used bichirs (Polypterus senegalus), an African fish that can breathe air, 'walk' on land and resembles those ancient fishes that later evolved to become tetrapods, today's amphibians, reptiles, birds and mammals. "Stressful environmental conditions can often reveal otherwise cryptic anatomical and behavioural variation, a form of developmental plasticity. We wanted to use this mechanism to see what new anatomies and behaviours we could trigger in these fish and see if they match what we know of the fossil record." said Emily Standen, a former McGill post-doctoral student who led the project. The researchers reported that the terrestrialized fish showed remarkable anatomical and behavioural changes. The land-grown individuals walked more effectively by placing their fins closer to their bodies, lifted their heads higher and kept their fins from slipping as much as fish that were raised in water. "Anatomically, their pectoral skeleton changed to became more elongate with stronger attachments across their chest, possibly to increase support during walking, and a reduced contact with the skull to potentially allow greater head/neck motion." said Trina Du, a McGill Ph.D. student and study collaborator. "Because many of the anatomical changes mirror the fossil record, we can hypothesize that the behavioural changes we see also reflect what may have occurred when fossil fish first walked with their fins on land." said Hans Larsson, Canada Research Chair in Macroevolution at McGill and an Associate Professor at the Redpath Museum. The experiment is unique and provides new ideas for how extinct fish species known only from fossils may have used their fins in a terrestrial environment and what evolutionary processes were at play, said the researchers. "This is the first example we know of that demonstrates developmental plasticity may have facilitated a large-scale evolutionary transition, by first accessing new anatomies and behaviours that could later be genetically fixed by natural selection." said Larsson.